January 1 marks the start of National Mentoring Month; as organizations around the country honor mentors and bring awareness to mentoring. Thank Your Mentor Day is January 19, and mentees and former mentees are encouraged to reach out personally or to use social media to thank their mentors for the influence they have had on their lives. 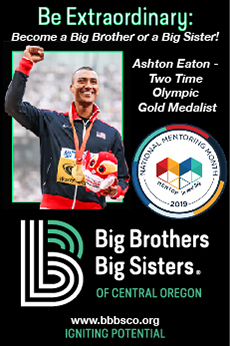 Ashton Eaton, two time Olympic gold medal decathlon champion—who often speaks of how his success is linked to his great mentors—endorses Big Brothers Big Sisters of Central Oregon! Serving Central Oregon since 1994, Big Brothers Big Sisters helps youth stay on track in school, reducing risky behavior. Mentors focus on activities that promote positive school experiences for the child—good attendance, positive peer and adult relationships, and a positive attitude. Sand Lily Home, a new home furnishings and décor store, recently opened its doors at 631 NW Federal Street at the corner of Federal and Galveston. The shop offers unique furniture, gifts and accessories with farmhouse, country chic and industrial styles. 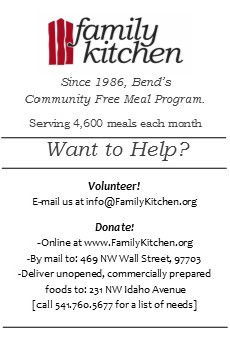 Owners Jonny and Mike Parker-Kwok moved to Bend last spring from San Diego. Opening the store was a natural move for Jonny, who explains he has “furniture in his blood,” growing up in Grant’s Pass, Oregon, immersed in his family’s furniture business there. After Jonny spent 18 years in the furniture business in San Diego, the two are happy to offer unique home décor in Bend. 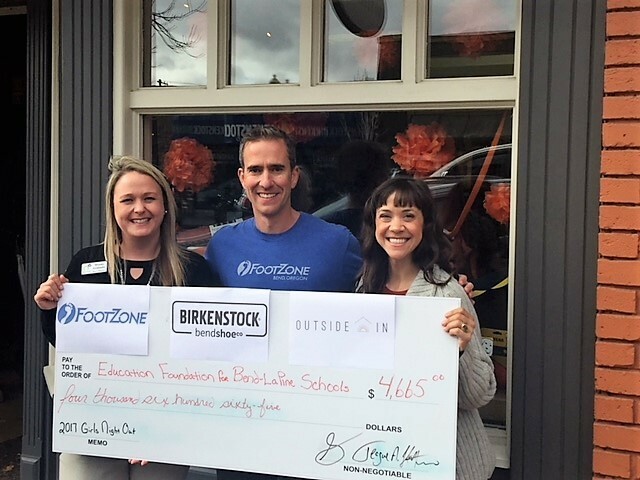 The Education Foundation for Bend–La Pine Schools received a generous $4,665 donation from FootZone, Birkenstock and OutsideIN from the sold out Girls Night Out event. 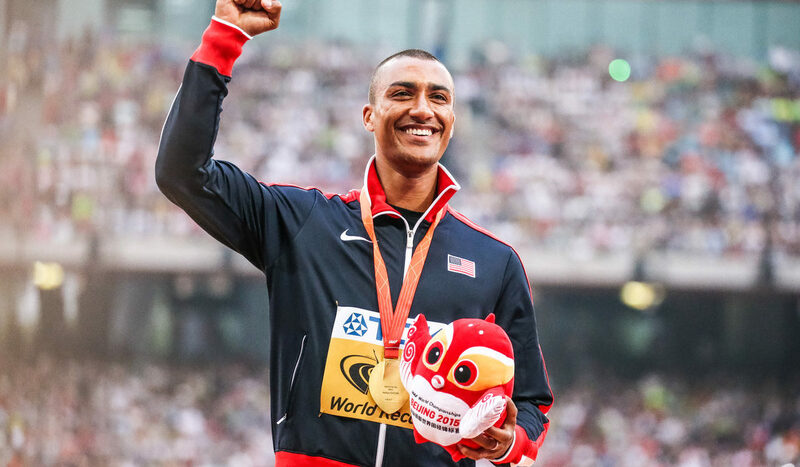 The annual event is a local favorite that offers product discounts, raffle prizes, and coveted swag bags for customers. The Education Foundation provides financial resources and tools to teachers with an emphasis on STEM projects as well as art and music programs that benefit over 18,300 students and 2,000 educators within the Bend-La Pine school district. 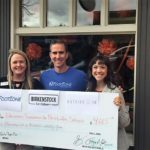 “We are so thankful for the support of FootZone, OutsideIN and Birkenstock in supporting the Education Foundation at Girls Night Out,” says Michelle Johnson, Executive Director for the Education Foundation. The Education Foundation, founded in 1988, prepares District students for success and the future through exceptional educational and extracurricular activities. 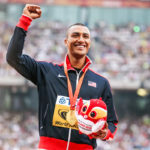 Deschutes Brewery tasting room hours for the production facility at 901 SW Simpson Avenue have changed to 12 p.m. to 7 p.m., seven days a week, allowing customers to access the brewery’s award-winning beer for an additional two hours every night at this location. New beer sizes now offered for purchase at the tasting room include pints, half pints, snifters and full sample trays. New, non-alcoholic beverage options are also available. Those looking for something lighter to pair with their beer will have the option to purchase prepackaged snacks inside or full meals at the food truck stationed outside. The 45-minute tours cost $5 per person and include beer samples throughout the tour route to provide fans unique sights, sounds and fragrant smells of the brewery with a taste of the freshest end products. 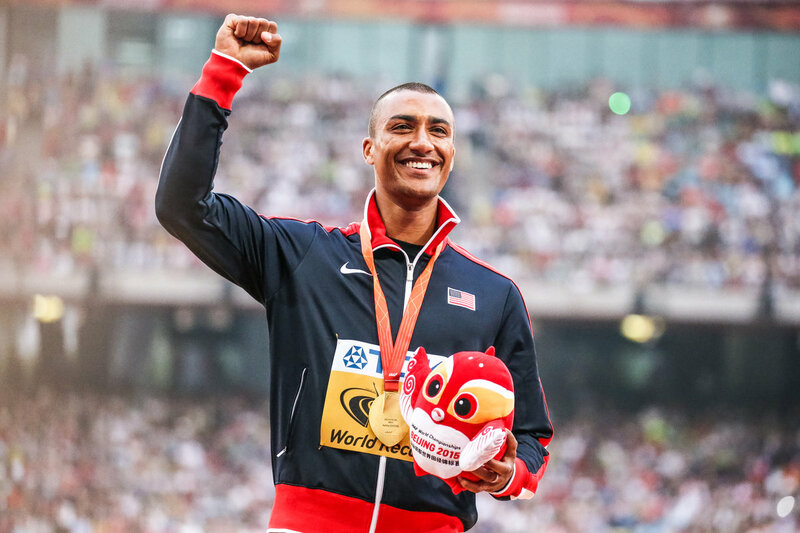 Bend Park and Recreation District received three honors by national and state entities for the community’s recreation facilities and their strong partnership with Brooks Resources. The awards are for the design of The Pavilion and the Bend Whitewater Park, and contributions by Brooks Resources to the parks and recreation experiences available in the community. At the national Athletic Business conference, The Pavilion was honored as one of 10 internationally selected Facilities of Merit award recipients. The Bend Whitewater Park was selected as the Oregon Recreation and Parks Association’s 2017 Design Award. The Oregon Recreation and Parks Association also honored Brooks Resources with its 2017 Private Sector Partner Award. The Private Sector Partner Award recognizes an Oregon-based entity, corporation, or non-profit organization that has made a significant contribution to the park and recreation profession, either through an agency or the state association.